I’m not an Iowan, and I don’t know enough about the caucuses to have an opinion about them. To get an idea of what I’ll be observing for the next five months, I needed to talk to some Iowans. I needed a place where Iowans typically go. I also needed bread, milk and cereal, so I grabbed a pen and notebook and went to Hy-Vee. I stood by the pharmacy-adjacent door next to the potted mums (only $25), waiting to ambush some unsuspecting Iowans with caucus-related questions. The first person I talked to was Spencer. 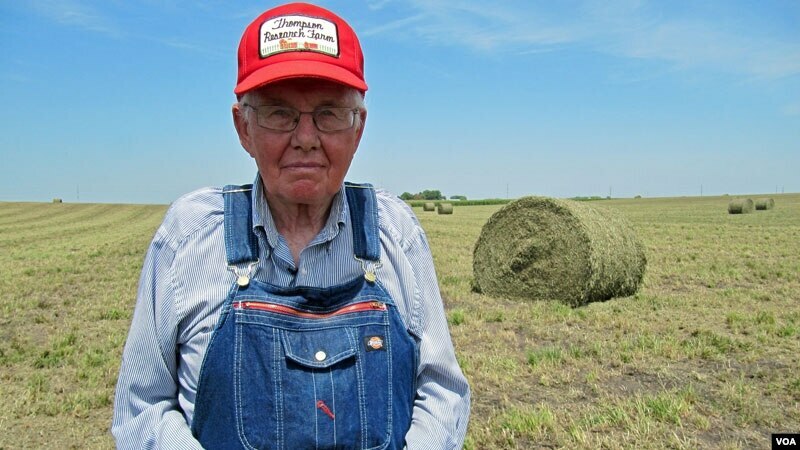 He’s a “typical” Iowan in the fact that he’s old (72) and white, but he’s not this guy. Balding and wearing a gray T-shirt, gray gym shorts and tennis shoes, Spencer called himself an Independent. His opinion on the caucuses? Spencer said he usually waits until the general election to decide whom to vote for. He voted for Barack Obama in both 2008 and 2012. Our conversation was short. He, like most people Wednesday evening, was in a hurry to go buy his groceries. I talked to a couple more people while he was inside (two more Independents, actually). He exited Hy-Vee 10 minutes later and said, “You’re still here?” Unprompted, he started talking about the 2016 cycle. Independent but not unaware. Spencer said he’s glad Donald Trump is in the race because the Republican frontrunner is “good for politics” and keeps the rest of the field “churned up.” He’s not a Trump supporter, though. Spencer doesn’t think he’ll be the nominee. His current candidate preference: fellow Independent Bernie Sanders. He, like many others, is tired of the establishment candidates. “We’ve already had enough Clintons and Bushes,” he said. With the new president’s inauguration a little over 15 months, Spencer wasn’t exactly, uh, optimistic. No matter the new president, the middle class will suffer and taxes will go up. Nothing will change. “Right back to the same old s— again,” Spencer said. Spencer was pessimistic and seemingly resigned after living in Des Moines for 30 years. As an Independent he has no use for the caucuses, but he still votes in the general election. He seemed more aware than Kate of Ankeny, who said she just doesn’t have the motivation to caucus, calling herself a “fence-rider” who voted straight-ticket (Republican) in 2012. Otto, from Windsor Heights, was another Independent. He compared the U.S.’s two-party system to the (stupidly named) Cy-Hawk Series. You can only pick one team. Otto, 52, said he discusses with his wife, who is a Democrat, about the candidates. There have been times when they’ve voted separately. With caucus turnout low, should there be a caucus reserved for Independents? I’m almost certain Otto would caucus. Spencer might not be overly optimistic, but I think he would too. Cannon is a senior journalism and political science major at Drake University. He interned this summer at the Hartford Courant, and he cares too much about the Kansas City Royals.